Breeding colors of the snowy egret a;long with the long airy feathers that are on the head and back make this one of the more spectacular displays for courtship. I was only able to capture the feet and dark yellow feet and the patch of skin that turns red at this time of the year. Egrets, especially the Snowys were almost hunted to extinction in the 1800's when their plumes fetched more than double the price of gold per ounce. These and the larger great egrets are doing just fine. 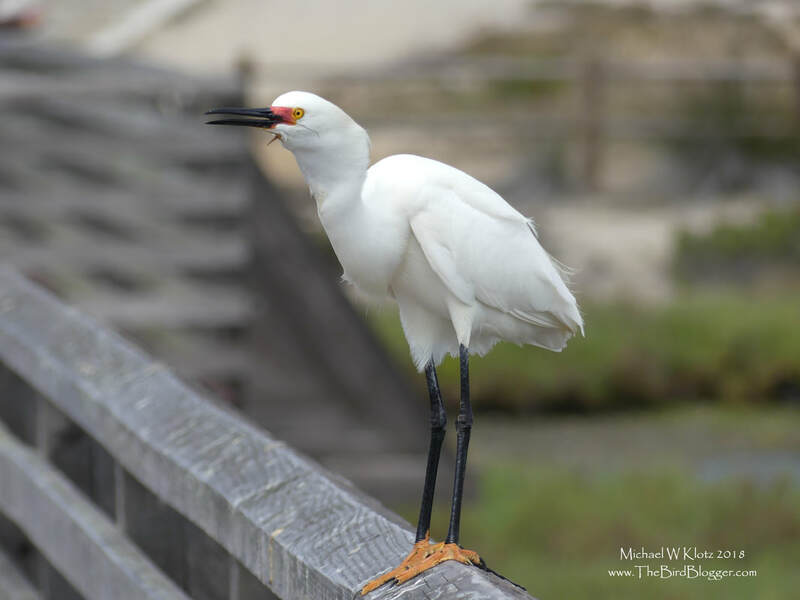 This handsome bird was on the boardwalk at Bolsa Chica.